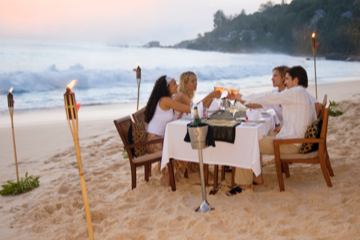 Celebrate your special occasion with family & friends in paradise. 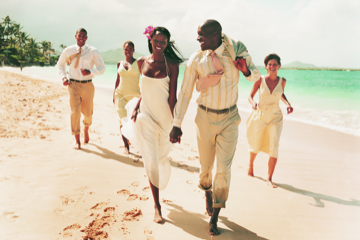 Additional offers or benefits may be available depending on the size of your group and resort or destination chosen. For more information, contact us online or speak with a group reservations guide at 1.844.367.6416. *Group reservations are available for RCI® subscribing members only. Non-refundable $200USD group reservation fee applies. 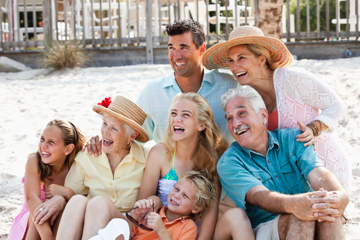 All-inclusive fees and Exchange fees and/or Extra VacationsSM getaway fees apply. These vacations are limited. Destinations and travel times are subject to availability and confirmed on a first come, first served basis. Offer includes only accommodations and specifically excludes travel costs and other expenses that may be incurred. Taxes, additional fees and charges may apply. A mandatory all-inclusive fee is required be prepaid at or before check-in and, depending on resort and season, may cover meals, drinks, tours, transportation, resort activities, resort amenities, services and facilities. Fees, terms and conditions of packages covered by an all-inclusive fee are determined solely by the resort, and are subject to change at any time. Promotional discounts and offers may not apply to all properties. Other restrictions may apply. Offer void where prohibited by law. All prices are based in U.S. dollars (USD). Exchange: CST: 2046555-50. Fla. Seller of Travel Reg. No. ST-26552. Nevada Seller of Travel Registration No. 2002-0793. Washington Seller of Travel Reg. No. 602357907. Rental: CST: 2081369-50. Fla. Seller of Travel Reg. No. ST-36515. Nevada Seller of Travel Registration No. 2006–0006. Washington Seller of Travel Reg. No. 602560941. Registration as a seller of travel does not constitute approval by the State of California.